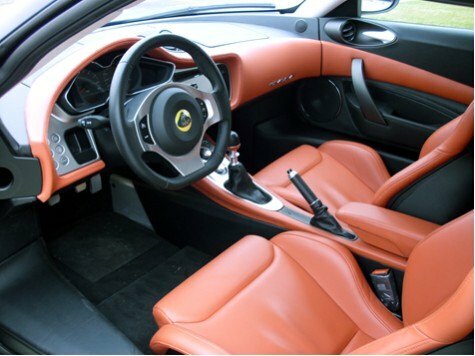 When the Lotus Elise arrived in the United States in 2005, it became an instant classic. Combining lightweight components, a race-tuned suspension and a rev-happy 1.8-liter four-cylinder engine from Toyota made the little two-seat track-killer popular with die-hard car enthusiasts and racers all over the country. While it was a hoot to drive, the Elise was terribly impractical. Getting in and out require three months of physical training with members of Cirque Du Soleli. Once inside, occupants were forced to share what little room Lotus gave owners in a hard cocoon of aluminum, leather, and little else. Things like air conditioning, power amenities, even carpet were options. 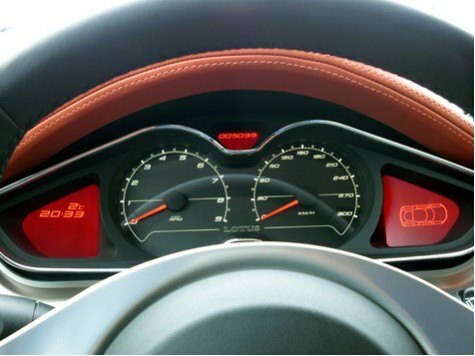 To calm complaints of impracticality while to appeal to a greater audience, Lotus went to work on a larger, more user-friendly sports car. 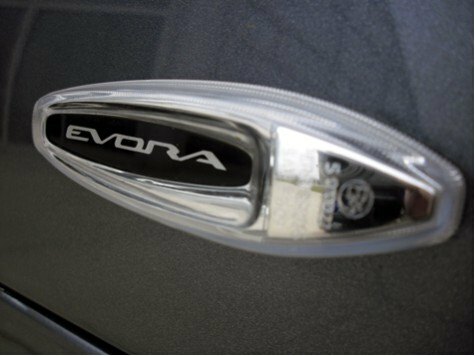 What they came up with was this, the 2010 Evora. 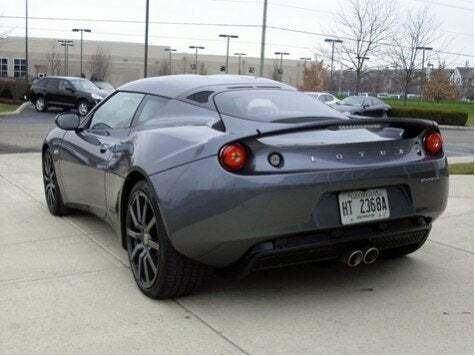 As I first laid eyes upon the sleek and swoopy body lines, my first fear was if they made the Evora too “friendly”, too comfortable and soft that it lost the Lotus edginess everyone loved? I walked a little closer and open the door. The seats are still scraping the asphalt, just like the Elise. There is still a wide sill that must be climbed over before being seated and zero foot room. And there is still a small area Lotus calls a trunk as well. But what is this? Carpeting? A rear seat? Leather covering almost every piece of the interior, even those wide sills? This must be explored further. Step over the door sill with one foot, flop down into the Recaro seat and bring the other leg over. I’m in! No more bending body parts in ways that would make the Kama Sutra blush. Looking and reaching around shows there is much more room inside, enough for two full-size adults to fix without really touching, with room for all appendages. The seats are less confining as well, but are still well-blostered for aggressive maneuvers behind the wheels. The rest interior is simple, but beautifully crafted. From the aforementioned supple leather (optional) to the milled aluminum switchgear, everything feels rich and modern. Even the gauges are easy to use, but also look great. The only thing that may stick out is the optional touchscreen radio and back-up camera. Alright, enough stalling. 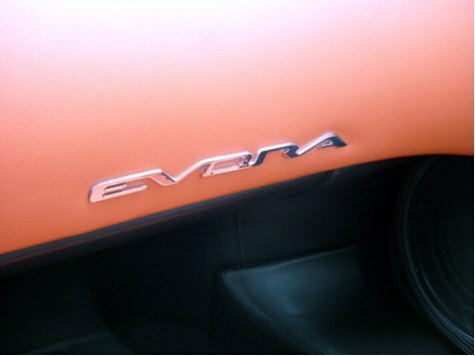 Here’s how the Evora drives. Push the long clutch pedal in and twist the key. The 3.5-liter V6 from Toyota fires up in a quiet, steady hum. Engage first gear, feed the gas, and pull away in a gentle, smooth motion. Clutch uptake is very good for the nature of the car and throttle tip-in is linear, not jerky or abrupt. Not expected, but greatly appreciated. Hammer the throttle, though, and things change. 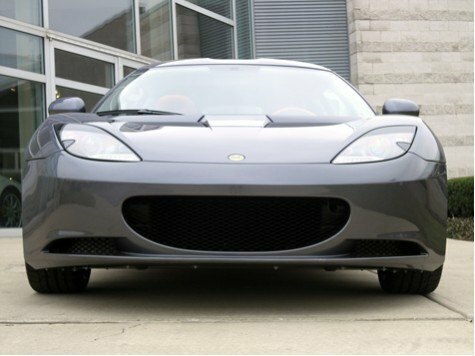 The Evora changes into a snarling beast. The Toyota engine isn’t as rev-happy as the 1.8-liter, but it never runs out of steam. The clutch doesn’t bind up when rushed and the six-speed manual transmission, while not as snick-snick as I had expected, felt better when pushing it hard, finding the gear you want without getting hung up on its detents. And I didn’t even put the car in the optional Sport mode! The handling is the best bit. It’s not as immediate as an Elise, but it doesn’t feel nervous on the street. It is superbly weighted and has a sense of balance you would expect in a car like this. The all-aluminum suspension is also well-tuned, with a mostly comfortable ride in a daily commute setting, but feels well-balanced when tearing around winding entrance ramps, the 18-inch performance tires wrapped around forged multi-spoke wheels fighting for traction. As a successor to the Elise, the Evora is a success. It retains most of the passion the smaller car has, but provides the experience in a much more useful package. It’s pretty good looking, drives wonderfully, and the sumptuous interior, Lotus fans will be happy to park one of these next to its little brother. Buyers must be ready to pay, as a car with the optional leather, touchscreen radio and Sport package will run north of 80 grand. For this amount of viseral enjoyment with the right amount of luxury, it may be worth the asking price. 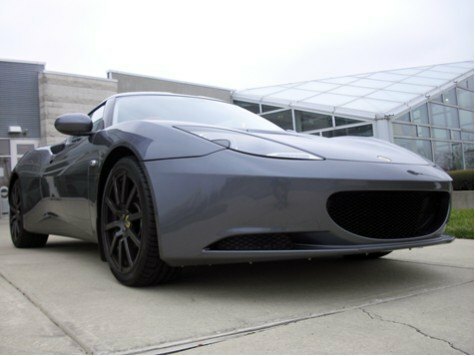 1 Comment on "First Drive: 2010 Lotus Evora"